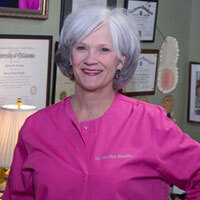 Dr. Marilyn G. Murphy welcomes Dr. Natalie O. F. Cozart back to Macon, Georgia as her new partner! Our goal as Pediatric Dentists is to instill in our young patients a positive attitude toward dentistry that will last a lifetime. As a pediatric dental office, we provide specialized care for infants, children, and adolescents. We are especially caring towards children and adults with special healthcare needs. It takes a team effort including parents and our staff to educate the child in maintaining a lifetime of cavity-free dental health. Dr. Murphy and Dr. Cozart’s philosophy has always been to engage the child in his or her own care. We believe in building a relationship on the foundation of trust with our patients and their parents. We both aim to instill an “I can do it” attitude in each of our patients. Thanks to Dr. Murphy and Dr. Cozart’s dedication and commitment to our children, kids leave the office with a bright smile and sense of accomplishment. Our office serves patients living in Macon, Warner Robins, Milledgeville, Forsyth, Dublin and the surrounding middle or central Georgia communities. We both look forward to taking care of your toothy grin! 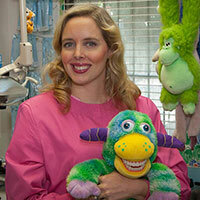 Growing up in a large family, Dr. Murphy developed her profound love for children at an early age. As she began to contemplate her future, she was unsure of which career path to take but she knew it would most certainly involve children.